Pheim Asset Management’s Update: On October 29, 2015, Monetary Authority of Singapore (MAS) has approved the appointment of Dr. Tan Chong Koay as the CEO and Executive Director of Pheim Asset Management (ASIA) Pte Ltd., Singapore. 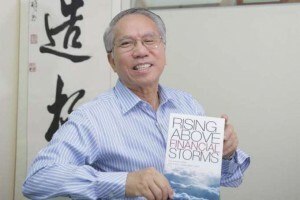 SINGAPORE – The Monetary Authority of Singapore (MAS) has approved veteran fund manager Dr Tan Chong Koay, 65, as chief executive officer and an executive director of Pheim Asset Management (Asia). I just wanted to tell you that our Parent Company, Pheim Asset Management Sdn Bhd was 21 years old on 4th January 2015!